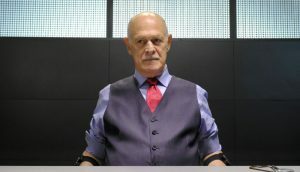 Gerald McRaney joined Fox’s 24: Legacy as a series regular. The 24 spin-off follows Eric Carter (Corey Hawkins), an ex-Army Ranger, and outgoing Counter Terrorist Unit director Rebecca Ingram (Miranda Otto), as they team up to thwart a terrorist attack in Washington, D.C.
McRaney has been cast as “powerful oil man” Henry Donovan, the father of Rebecca’s husband, Senator John Donovan (Jimmy Smits), who is running for president when the series begins. Henry is described as a devoted father who is willing to do anything to make sure his son wins. It’s likely Henry won’t be too pleased when he learns Rebecca is taking a break from helping John campaign to deal with this terrorist threat. Simon & Simon rerun on german television! From May 21st on, RTL NITRO will show some episodes. Make your Saturday mornings a bit more worthy to get up! Simon & Simon auf RTL NITRO! Nachdem die Jungs von der Riptide, das „Trio mit 4 Fäusten“ den Samstag Morgen etwas erträglicher gemacht haben, lohnt es sich jetzt für unsere Lieblingsbrüder aufzustehen! Rick und AJ ermitteln samstags ab 07.00 Uhr in 2 Folgen hintereinander und Sonntag mittags noch einmal.